Riehen has the most beautiful scenery. Wenkenpark, Sarasinpark, Wettsteinanlage or Berower Park at the Fondation Beyeler - all treasures that are almost impossible to find anywhere else today in such density and splendour. 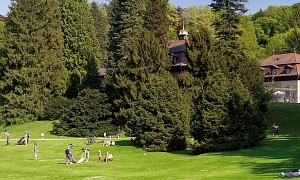 The unique historical parks are not only very popular with tourists but also used extensively by the local population. They also provide an impressive backdrop for a variety of events. Escape from your daily routine. Riehen awaits you. The spacious park at Wenkenhof with its well-kept lawns, rare trees and shrubs, charming pond and extensive walking trails is one-of-a-kind and worth a visit every season.... 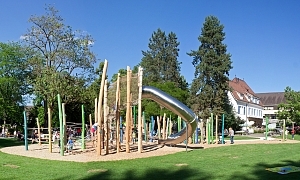 The neo-baroque park extension south of Bettingerstrasse dates from 1954. A nice Bistro-Cafe has been added to the large Reithalle, providing a venue for various events. The Berower Park belongs to the historical Berower estate. 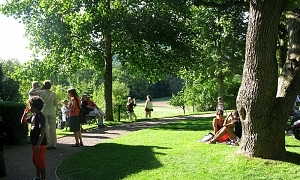 The park is renowned across the world, because it is also home to Fondation Beyeler (as of 1997). The historic building also houses Kunst Raum Riehen. The beautiful park is located between Villa Berower from the 18th century and Fondation Beyeler on the edge of the Wiese plain. In summer, the restaurant’s wonderful garden terrace is also a highlight. The large park is decorated in the style of an English landscape park from the mid-19th century and covers an area of approximately 2.6 hectares. 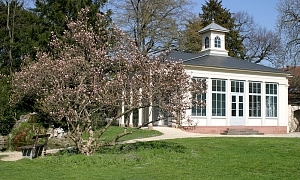 It is located north of the old village centre, directly opposite the Fondation Beyeler.